Backup hard drive partition to make a whole copy of your Windows. 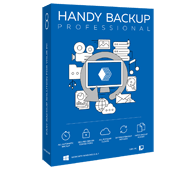 Handy Backup provides the professional partition backup software solution, which has the widest set of features, and at the same time is quite simple and fast to use. Why You Will Need to Make Partition Backup? One of the biggest dangers in the area of computing is a hard disk breakdown: if your HDD fails, it is extremely difficult to get back to work quickly. This is a strong reason to make a hard drive image backup, whether it will be a complete disk image, or a backup of Windows partition. Many additional options like compression, encryption and other. Learn more about backup features of our software. 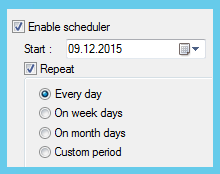 Backup and restoration of partitions is available in Handy Backup Professional edition. Download our software and make the first backup copy of hard drive today! 30-days trial! Note: The same registration key can be also used to register Handy Backup Disaster Recovery, our new software that is installed on a Flash or USB drive and can create bootable system backup & restore drive for backing up system partitions independently of your main OS. In case when you want to transfer your Windows backup partition to another HDD, create multiple similar computers, or simply want to clone hard drive partitions, the disk imaging feature of Handy Backup can help you. Restore an image backup to a different HDD to create a precise copy of your disk. 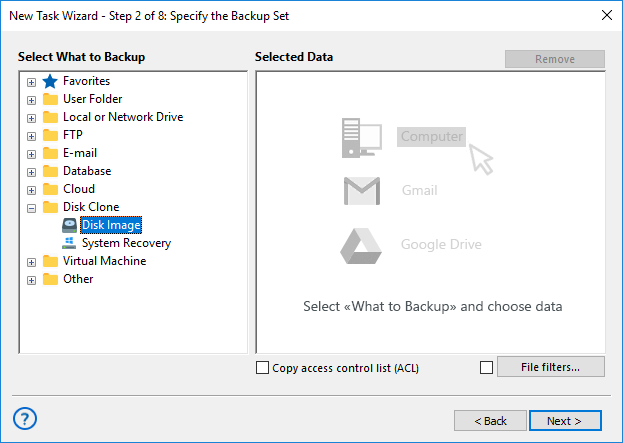 With Handy Backup software, you can clone a disk or create a full backup of the entire drive simply by selecting the Disk Image item in the Disk Clone group when creating a task. For more details on disk and partition image backup, please refer to disk image backup in the User Manual. This video will teach you how to backup partitions using the “Disk Image” plug-in, as well as how to restore a hard drive partitions with the Handy Backup Disaster Recovery tool. Note: All instructions in this video suggest that you already have a copy of Handy Backup on your computer. If you still haven’t install it, don’t hesitate to download it.